How long did it take for light from the stars to reach us? According to currently accepted models, light travels at the same speed in all parts of the universe, and it has always traveled at this speed. Distance to galaxies is often measured in light-years, as in how many years it would take light traveling at over 300,000 km/s to cover that distance. So if some stars are billions of light-years away, it must have taken billions of years for that light to reach us, right? Well, that could be a logical conclusion, if not for a couple of nuances. 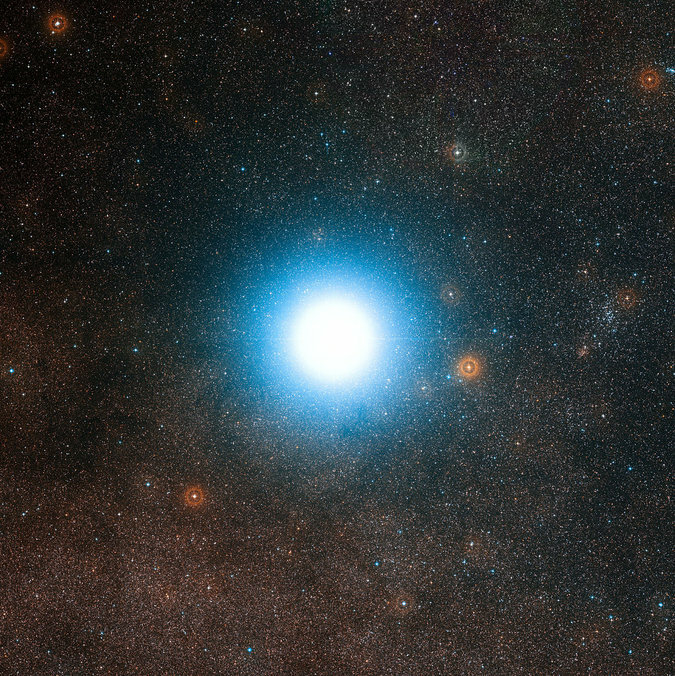 The farthest object in the universe is 47 billion light-years away. Does that mean, it took 47 billion years for light from that object to reach us? If the universe was static, it might have. But we now know that the universe is expanding. And it isn't just expanding, but it expands at an accelerating rate with time. So how far a given object is would depend on how long ago and at what rate do you assume the universe has been expanding. If you assume the universe to be 14 billion years old, you would come up with a rate of expansion that would allow that object enough time to move to 47 billion light-years away. If you assume the rate of expansion to be something else, you would allow for a different rate of expansion. All of this, of course, only holds up if light indeed traveled linearly. If light got here by means of traveling in a straight line in 3 dimensions, than how far away that object is, would depend on how long ago we think light from that object left its source, not how far away from us it currently is. The idea that light got here by means of linear travel at the accepted speed of light, has a problem in itself. The problem lies in the fact that temperatures throughout the universe are extremely uniform in all directions. The temperature deviates by only 1/10,000 of a degree. According to the Big Bang model, the universe developed different temperatures when it was very small. As it expanded, different parts of the universe would end up with different temperatures. The only way for temperature to be uniform throughout the universe would be if there was enough time for energy exchange between different parts. Let's assume, that when the universe was very small, one section of the universe (point A) developed at one temperature. Another section (point B) is at the same distance from us, but in the opposite direction from us than point A, and developed at a different temperature. So the distance from us to point A is the same as the distance from us to point B. And the distance from point A to point B would be twice as large. If it took 14 billion years for light from point A to reach us, it would take 28 billion years to reach point B. But wait, the light has to actually travel between point A and point B several times, for equilibrium in temperatures to be reached between two points. So to answer the question, how far away an object is from us, you first need to assume how long ago light began to travel from that object, and that light got here in a linear fashion, and that it always traveled at the same speed. After you make all these assumptions, you still have to multiply that time period by several times to allow for temperature equilibrium to be reached between all parts of the universe. Then there is the assumption that the light's speed limit is always the same. That is currently the most popular assumption. But some scientists have proposed and actually measured that the speed of light is slowing down. Also, with the new developments in theoretical physics, we need to re-evaluate if light needs time to travel at all. Remember what you learned in your Theory of Relativity class? As you approach the speed of light, time stops. So if you are light, there is no time for you. If you go into the bizarre world of quantum physics, an electron of light can be in two places at the same time. If all this got you confused, than welcome to the world of modern physics. There are just too many things discovered recently that make it no longer feasible to determine the age of the universe based on the speed of light.